If you are a warehouse manager, having your forklift certification from OSHA is not a luxury, it is a necessity. If someone was to call out, you need to be able to fill in. In addition, it is up to you to set the standard for forklift operation at your facility. That means you must be OSHA compliant if you expect your workers and other warehouse employees to be as well. Keep reading to learn about the top OSHA compliant forklift certification training courses available to you that will help you become an expert forklift operator, regardless of the shipping container sizes. National Safety Council is an OSHA compliant forklift training program. This company provides NIOSH training programs, or National Institute for Occupational Safety and Health, that are non-lecture based. The program teaches lessons in moving with and without a load, picking up and stacking a load, special maneuvering requirements for trailers, ramps and elevators and non-operator safety training for those who work around forklifts. You can even take advantage of one day forklift training onsite at your warehouse or at any NSC training center. If you want a forklift training course that serves operators and non-operators, consider NSC. Ferrari Driving School is another great option for forklift certification training if you need to get certified in a hurry. The school provides same day OSHA forklift certification after training, which is extraordinarily convenient for busy managers like yourself. Unfortunately, the program is only offered on Saturdays at 10am. However, you can gain both Forklift Class 1 and Forklift Class 2 certification, which is certainly efficient. If you need to get same day forklift certification, consider attending Ferrari Driving School. The Forklift Certification Institute is, without a doubt, the easiest way to get certified in forklift operation to help your business mitigate any supply chain risks associated with the task. This company provides an OSHA compliant forklift certification and training that is entirely online. This online forklift certification is only $65 for individuals and even offers group discounts. If you need to get certified, but do not have the time available to attend an in-person or onsite forklift operation training program, the Forklift Certification Institute provides a great online alternative. Forklift Academy, like the Forklift Certification Institute, offers an online forklift training program. However, unlike FCI, the entire program is not online. The evaluation and certification portion of the program offered by Forklift Academy requires an in-person test, but it costs less too at just under $50. In addition, the company also offers forklift re-certification programs for those in need of a refresher course. 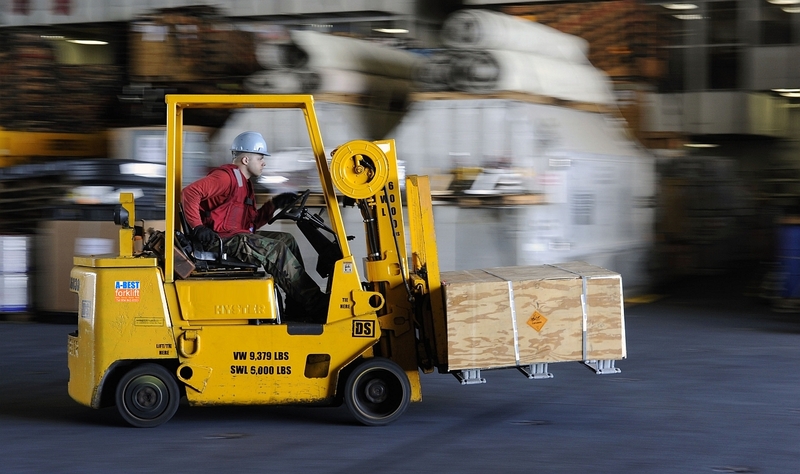 OSHA requires forklift operators to get certified and re-certified every three years. If you are looking for a forklift operation re-certification program or just the cheapest option, Forklift Academy may be the place for oyu. As mentioned above, OSHA requires any forklift operator, including warehouse managers like yourself, to get re-certified every three years. Think of these certifications as required workplace accessories. If you need to get certified or re-certified in forklift operation, consider preparing yourself with one of the training programs above. These forklift training and certification programs offer a low cost solution to ensure that you, your employees and your warehouse at large are OSHA compliant, which is a must in this industry. Make sure to get certified to use a forklift safely and efficiently.